TOTAL 12 PRASHNO NA JAVAB MA SUDHARA BABAT RAJY PARIXA BOARD NE RAJUAAT KARI. TAMAM PARIXA AAPNAR UMEDVARO A VANCHAVA LAYAK. 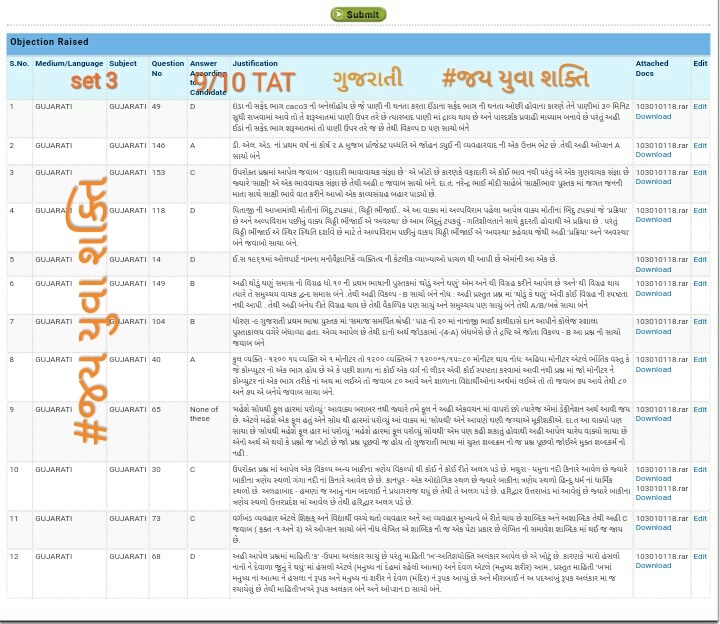 0 Response to "TAT SECONDARY GUJARATI SUBJECT NI ANSWER KEY MA SUDHARA BABAT JAY YUVA SHAKTI TEAM NI RAJUAAT."